Sprout Social’s social media management software and customer service help desk Zendesk are integrating to make it easier to communicate with customers through social media. The 2-way integration allows you to create, track, and manage customer support issues from the powerful social media dashboard. 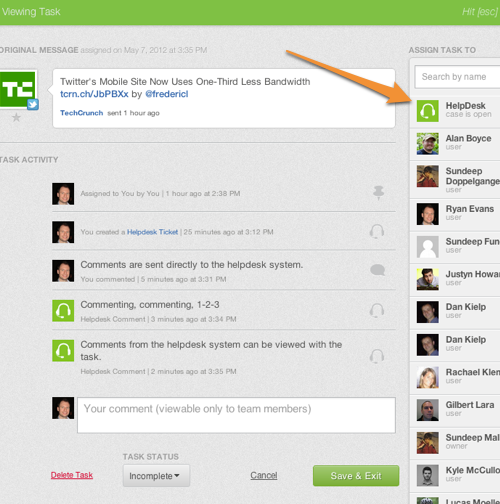 If a customer tweets a support question at you on Twitter, you can make that a help desk support ticket in Zendesk with just one click, sending the entire conversation to Zendesk. The integration works in the other direction, too. Communications back and forth are tracked in both applications, so it’s easy to coordinate between your social media and customer support teams. Before, you’d have to collaborate via instant message, email, or a separate project-management application. This new seamless relationship lets you respond to customer complaints and questions with your entire staff involved and kept in the loop. 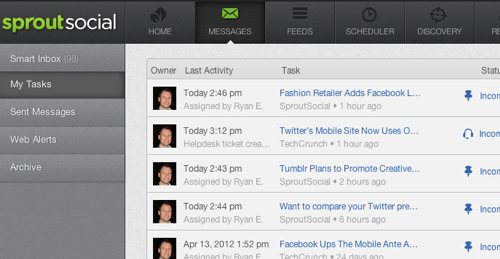 Sprout Social previously added task assignments and tracking for responding to social media engagement in its S2 release. This new feature in partnership with Zendesk is a natural next step in making it much easier to provide customer service through social media channels.